The Standardbred is a relatively new breed, developed in the United States in the late 1700’s. Some of the very first trotting races were held around this time and in the pursuit of a faster horse a combination of breeds including the Narragansett Pacer, Canadian Pacer, English Thoroughbred, Norfolk Trotter, Hackney, and the Morgan were crossed to develop the earliest Standardbred horses. A Trotting Register was started in 1867 by John H. Wallace, to record the pedigrees of trotting horses and in 1879, the National Association of Trotting Horse Breeders agreed upon standards to define horses eligible to be entered into this register. One of the rules stated that a stallion was required to trot a mile in two minutes and thirty seconds or better. The high standard required for entry into the register led to the name we know today: Standardbred. All Standardbreds trace their ancestry through direct male line to the grey Thoroughbred stallion Messenger, an English Thoroughbred who was foaled in 1780 and brought to America in 1788. Today’s Standardbred owes its existence to a prolific grandson of Messenger named Hambletonian whose blood courses through the veins of virtually every modern day Standardbred. 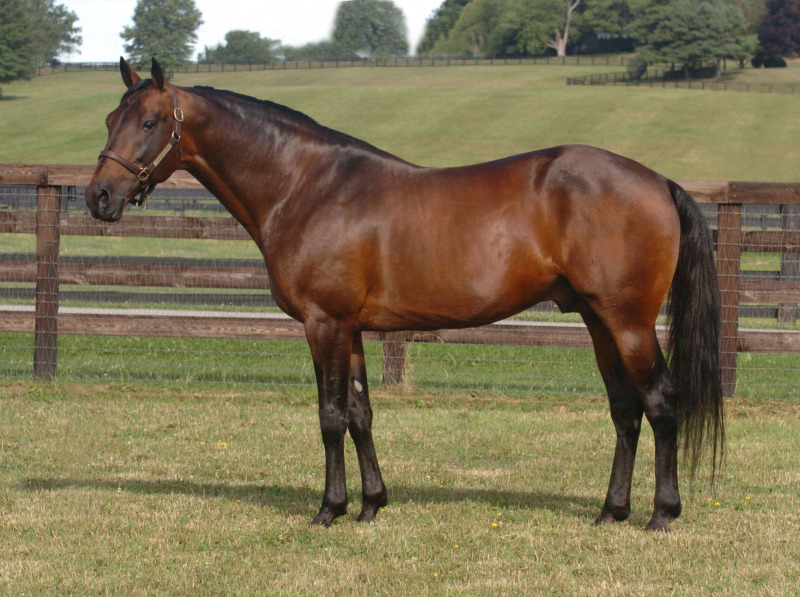 Like the Thoroughbred the Standardbred is bred for speed and not for a particular set of visual conformation traits thus there can be a wide variation in the look and build of the Standardbred. In Australia the early “Colonial Bred’ Standardbreds were often rather thickset horses with solid joints, short legs, long bodies and somewhat blocky, robust heads. The influx of American blood over the last 20 years has seen a dramatic shift in the Australian Standardbred, it is now a much more refined horse, with a longer, lighter limb. It stands to reason that that with this lighter build has also come a dramatic improvement in the speed of these horses, with the current Australian Record (at the time of writing) for a mile standing at 1.47.5. The modern Australian Standardbred is generally still slightly smaller than the Thoroughbred, averaging between 15-16hh with a marginally longer body and a more sloping hindquarter, both of which facilitate its unmatched ability in harness. The most common colour for the breed is bay or brown however other colours such as chestnut and black are not uncommon and greys and roans are also found along with the tobiano coat pattern. The nature of the Standardbred is generally very placid, willing and tractable and they are widely considered to be intelligent, people-oriented, easy-to-train horses. This is evidenced by their ability to transition from racing to a wide variety of other disciplines, including dressage, showing, jumping, endurance racing and more. Standardbreds make fantastic Riding Develops Abilities horses and there are even some now making their way in the mounted police forces, such is their versatility. Within the breed there are both trotters and pacers and certain bloodlines are more likely to produce one than the other. As the name suggests, the trotters preferred racing gait is the trot, where the horses legs move in diagonal pairs, when the right foreleg moves forward so does the left hind leg, and vice versa. The pace is a two beat lateral gait where the horse’s foreleg moves in unison with the hind leg on the same side producing a characteristic ‘rolling’ action. It is a specialised gait that has only recently been linked to a specific genetic mutation that influences the spinal cord and the way the horse’s limbs can move. Contrary to popular belief the breed is also able to perform all other horse gaits, including the canter, indeed many pacers use canter and gallop work as an integral part of their usual fitness training.